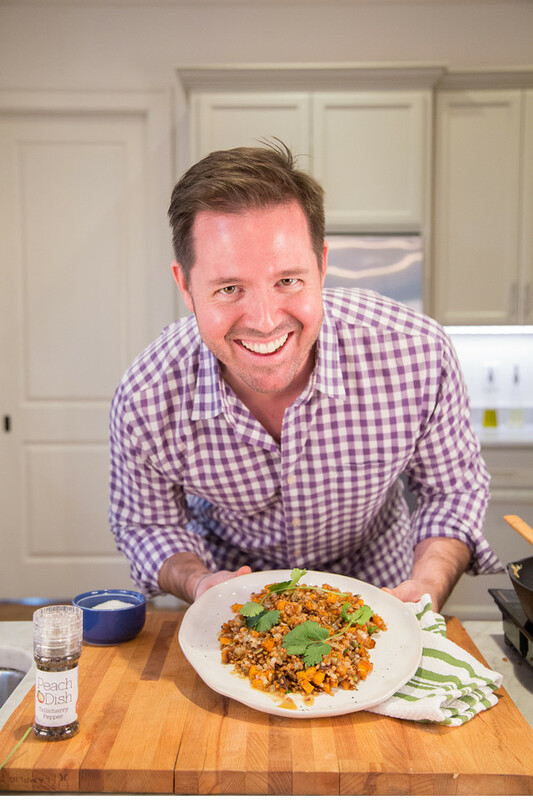 Chadwick Boyd is an Atlanta-born, travel-bound cook, writer, life-stylist, and more who who regularly appears on television, sharing delicious food, musings and entertaining tips with millions of viewers. He has one mission…"to change the world for good through food and words for millions of people." He has offices in both New York and Atlanta, but is always on the road, traveling from food festival to TV shoot to the next great culinary adventure! 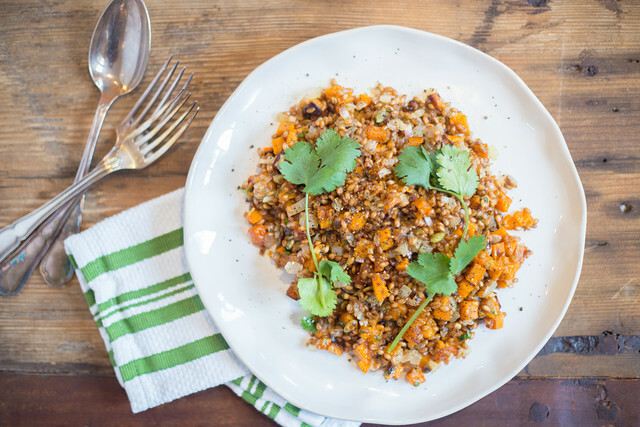 Chadwick came to the PeachDish kitchen last week to make his Wheat Berry & Roasted Butternut Salad with Pumpkin Seeds & Cilantro, a heart-healthy dish full of zippy flavors. Whether your New Year's resolution is to eat more veggies, to get more fiber, or simply to eat amazing food - this dish checks all the boxes for starting 2019 on the right fork... er... foot! What made you create this dish? What are your first memories of cooking? Is there a special person in your life who fostered your love for cooking? What’s your ‘favorite food indulgence? Who is your favorite Southern cook? What charities or organizations do you love and support? Heads up! You can find Chadwick's dish on our weekly Menu now - order by Sunday 1/ 20 to get everything you need to whip it up on your own delivered right to your door!